Towns nominated are Ayr, Broxburn, Cumbernauld, Glenrothes, Greenlaw, Leslie, Linwood and Newmilns. 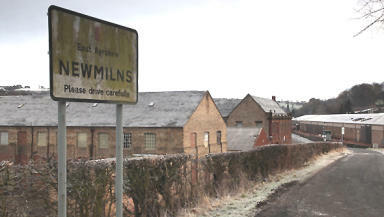 Eight towns have been nominated for a controversial award that recognises Scotland’s “ugliest” places. The annual Carbuncle Award is given to the town deemed to be the least pleasing to the eye and which houses buildings and other structures not considered architecturally accomplished. The eight towns nominated so far are Ayr, Broxburn, Cumbernauld, Glenrothes, Greenlaw, Leslie, Linwood and Newmilns. However, organisers want members of the public to suggest more nominees. Previous winners have included Linwood, Glenrothes and Cumbernauld. The unwanted prize is run by Scottish architectural magazine Urban Realm but, far from derogatory, editor John Glenday believes the award highlights the effects of the 2008 recession on town centre planning. 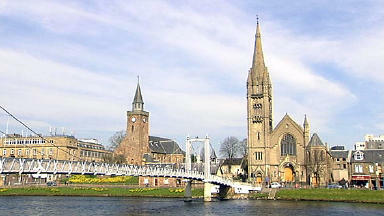 He argues that it encourages resistance to the “decline” of Scottish towns. He said: “Our towns are under greater pressure than ever before, suffering continued dissipation of resources and fragmentation of once close knit communities. "From flagging retail, to an exodus of the young and a planning and legal system that often seems perversely designed to throttle rather than nurture. Mr Glenday added that the magazine would campaign for a change in the law to make it easier for tenants to buy and renovate abandoned properties. However, the award, also known as the Plook on the Plinth, has come under heavy criticism in the past for its perceived elitist and negative outlook. Labour MSP Elaine Smith, whose home town of Coatbridge "won" in 2007, has condemned the thinking behind the Carbuncle. 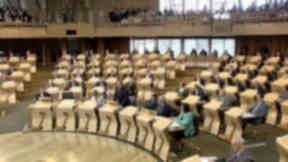 Speaking ahead of the 2011 award announcement, she told the Scottish Parliament: "These types of so-called architectural awards do nothing to help positively promote architecture. Instead, self-appointed judges give negative opinions with no care for the consequences to local economies or the well-being of local communities. "These Carbuncle judges should quite frankly get out of their ivory towers and consider the harm they do with their cynical and nasty so-called awards which are simply a patronising publicity stunt designed to sell their architectural magazines. They do nothing to promote architecture in Scotland." The 2012-13 award winners will be announced in March.